World War II was defined by the countless heroic soldiers who faced terror on the front lines to fight for worldwide justice and freedom. However, one key component that is often forgotten in the barrage of events is the significant roles women played both on the home front and the battle lines. While the men went away, these ladies got down to business and often filled the much-needed jobs from nursing to mechanics. They were the backbone that supported and framed the rest of the nation for the storm ahead, and without these heroines, perhaps our victorious battles would not have been remembered so gallantly. Therefore, let’s take a deeper look into the often forgotten role of women during WWII in order to honor and reflect the valuable presence of their virtuous efforts. When the men went off to fight, women were put to work, but not by force, but by the gratitude of their hearts and the power of their minds. They knew the United States would be in shambles with most of their “lead figures” overseas fighting on the front lines, which is why women rolled up their sleeves and put on their work pants. 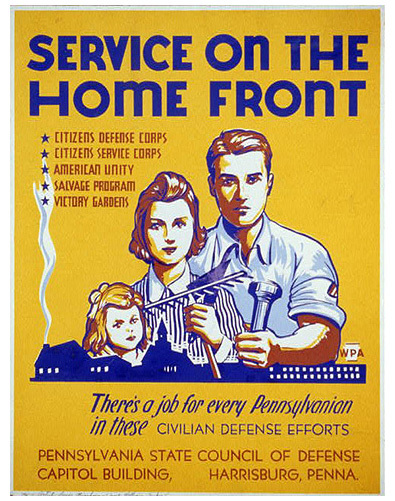 According to the History Channel, between 1940 and 1945, the female percentage of the U.S. workforce increased from 27% to 37%, and by 1945 nearly one out of every four married women worked outside of the home. Anything that was needed: women ran the town as many learned to manage real estate finances, fix cars, and work in factories in addition to their regular home uptake and domestic duties. The aviation industry saw the greatest increase in female workers as more than 310,000 women worked in the U.S. aircraft engineering commerce in 1943. They represented 65% of this production’s workforce, as compared to just 1% in the years leading up to the war. More than a million women were admitted into professional classifications previously reserved exclusively for men, and by 1944, women accounted for more than a third of civil service jobs, which included clerical work and local rationing boards. Because of the dire need to develop and manufacture new technology for war, women also took to the laboratory, playing a major part in the research that began the nuclear age. Because of their work and education, many women were overqualified for the lower-leveled positions that they fulfilled, but even so, their efforts were valiant. Some famous names include Dr. Chien-Shuing Wu whose work in nuclear fission granted her one of a few handfuls of spots on the Manhattan Project. Also, Hedy Lamarr who co-authored a patent for radio high-frequency switching that is used in torpedo guidance controls and communication systems in our current day cell phones. Not only did women seek efforts at home, but many enlisted in military efforts as well, a first-time occurrence that forever changed the recruiting process of the U.S. armed forces. According to the Nation World War II Museum, nearly 350,000 women served in uniform, both at home and abroad, volunteering for newly formed ranks of female recruits. Not to mention, many women also served the military through medical relief by becoming nurses. Though women were, and still are, not allowed to fight in direct combat, the volunteered women liberated positions on base so that men may be free to engage in combat. They drove trucks, repaired airplanes, worked as laboratory technicians, rigged, parachutes, served as radio operators, analyzed photographic evidence, flew military aircrafts across the country, tested new planes, and even trained artillery gunners. 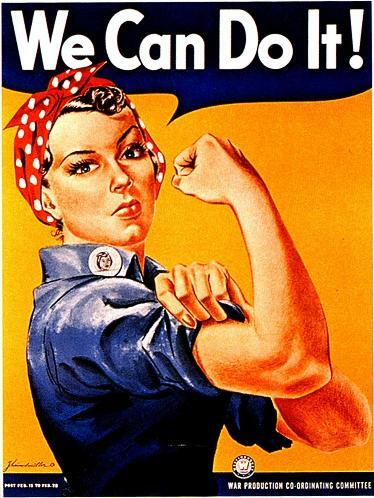 “Rosie the Riveter”, though a fictional character, still represented the absolute reality that women proclaimed during the war. For the first time in history, women became the undeniable face of strength, independence, and national wellbeing for the United States. 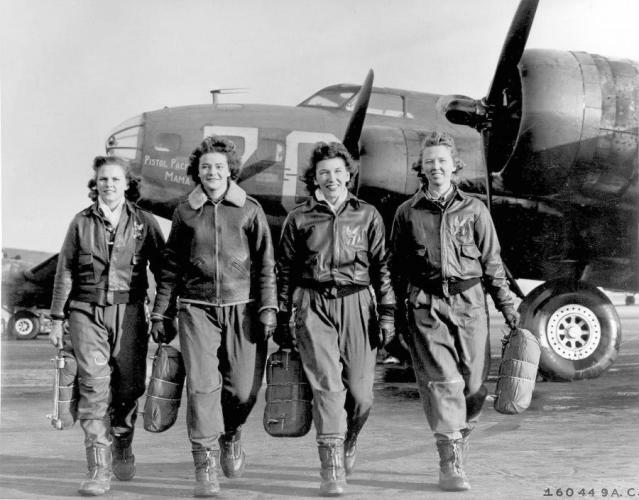 Women of the WASPs (the Women’s Airforce Service Pilots), each of whom had already obtained their pilot’s license prior to service, became the first women to fly American military aircrafts, ferrying planes from factories to bases, transporting cargo, and participating in simulations of targeted missions. Because of their duties, thousands of male U.S. pilots were freed for active duty. Thanks to these many brave, intelligent, and hardworking women, we may now walk in a country that is truly free. Though the war may be over, we cannot forget the faces of these heroines nor the efforts they stood for. It was their sole acts of loyal discipline and determination that allow us to celebrate the blessings we have in our nation today. Thank you soldiers, men and women alike, for your absolute devotion to our wellbeing. We will always remember and thank you for your selfless works. If you are interested in more aviation history, or want to contribute to the future of our nation’s aircraft mechanics, please contact us at AeroFlite or give us all call 714-773-4251. We are a women-owned mil-spec standard production corporation who specializes in the manufacturing, selling, and distribution of U.S. Military aircraft parts, and would love to partner with you in our efforts to drastically transform this world for the greater good.